Certified Financial Planners (CFP) – Who are certified financial planners (CFP) in India? How much fee do they charge? What should you look for while hiring a financial planner? If you are looking for these answer you are at right place. In this article, I will be sharing information about the point you should consider before hiring financial planner. I will also share a list of Certified Financial Planners (CFP) in India. A Financial planner is an individual who helps you to deal with financial issues via proper planning. Just like we have doctors for medical problems, we have financial planners for financial problems. To become a doctor, we have certification course MBBS, to become advocate we have certification course of LLB. Similarly in order to become financial planner certification course of CFP is offered by FPSB – Financial Planning Standards Board India. 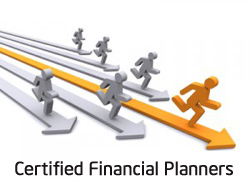 Certified Financial Planners (CFP) are professional authorized to do financial planning. If you are planning to take help from financial planner you must opt for CFP (Certified Financial Planner). Who is not a Financial Planner? Today we find a lot of people advertise themselves as a financial planner. By education either they are CA, MBA (finance), ICWA or CS. Although they have knowledge in finance domain that does not mean that they can act as a financial planner. In the same way Insurance agent, Mutual Fund agent, Wealth Manager or Relationship manager is not a financial planner. These people can definitely help for the selection of right investment product, but that does not mean that they are financial planners. Financial planning is personalized service. Financial planner makes a financial plan. This financial plan contains detail information about the future financial goal, tax planning, insurance planning, investment advice, cash flow management and lot more. Where to Find Certified Financial Planners? So, Big question is where to find certified financial planners? One good news is FPSB provides an online facility to search certified financial planners. Kindly visit FPSB website to search for certified financial planners nearby your area. You can find CFP based on Name/company, City/State and Nature of employment. Here is a list of selected certified financial planners in India. How much fee Financial planner charge for financial planning? Financial planner charge 150$ to 300$. This means 10,000 Rs to 20,000 Rs/- for financial planning. However, this fees varies from planner to planner. Apart from financial planning these financial planner also offers services like tax planning, retirement planning, insurance planning, portfolio tracking advice etc. Apart from certified financial planner we have another category called as Registered Investment Advisor (RIA). An investment advisor registered with SEBI for offering investment advice on stock, mutual funds, bonds, ETF is known as RIA. Registered Investment Advisor are authorized by SEBI to give investment advice relating to investing in, purchasing, selling or dealing in securities or investment products, and advice on investment portfolio containing securities or investment products for the benefit of the client and shall include financial planning. Registered Investment advisor are equally capable of providing financial planning services, however, a decision of taking services is from them is entirely up to you. RIAs generally charge fixed fee or hourly fees. Many RIA charges a percentage of the value of the assets they manage for a client. If you have taken services from any financial planner and satisfied from them. Do share with us so that we can expand the list of a financial planner given here. I would also appreciate if you can leave note sharing your experience in comment section. would like to go for planning and need support from Finalicial Planner. Could you share you email and no so I can call you further discussion. Dear Mohan, I am not CFP. However you can post your query. I will surely answer the same.